Hello! Peoples, I am Back with an Interesting Puzzle Again! If You are Good at finding Something, then this Puzzle is Definitely for you. 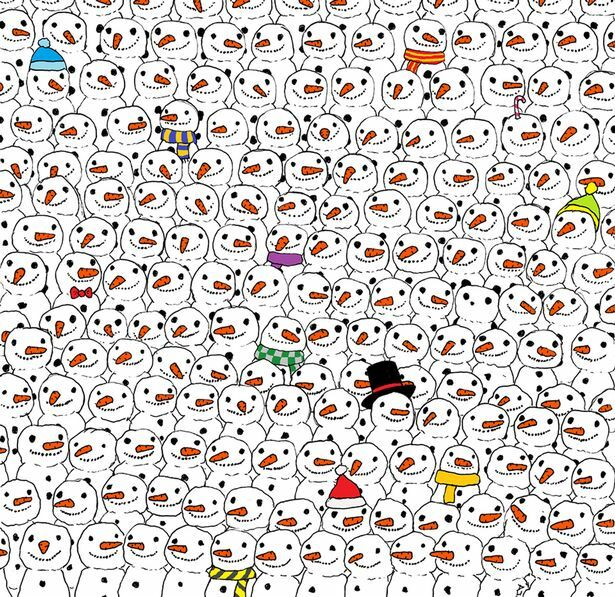 There are Many Snow Man, in this Image But There’s A Panda is also Hidden Between Them. If You are Genius at Finding Something then Find the Panda Amongest Them. The Answer is also given Below! There’s a PANDA Hidden Among-est Them! Find the PANDA in This Image ? SHARE & COMMENT! 😀 IF YOU HAVE SOMETHING TO SAY!